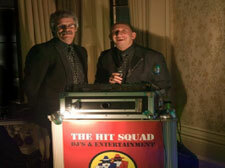 THE HIT SQUAD are a TEAM of handpicked FULLY PROFESSIONAL DJs and TOP QUALITY ENTERTAINERS. Performing throughout the UK. We are event specialists, targeting the right entertainment for all parties and events. The Hit squad believe in supplying music and entertainment for everyone’s individual taste. 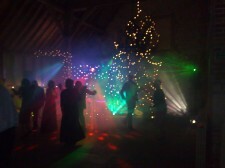 We have a variety of services from djs and karaoke to comedy classics and female tribute acts. Have a browse through the website and feel free to contact us if you have any questions or quires. 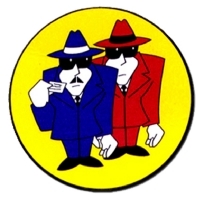 Having been let down by previous agents – I was recommended to Jezz from the Hit Squad. Jezz was great and arranged a fantastic band at short notice. We all had a lovely evening especially the ‘very surprised’ Roy! DJ Jezz and Magician Tony H.
Everyone really enjoyed the evening, teenagers and parents alike. we would definitely recommend them! THE HIT SQUAD was set up in 1999 initially as a Supplier of Superior Quality DJs as owner Jezz Baker has been a Highly Recommended Top DJ for over 25 Years. 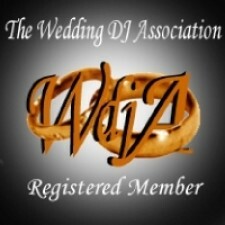 Our DJs are extremely experienced in performing to the highest standards, And when it comes to the Jewish Scene who would know better of what is required for a FABULOUS SIMCHA than DJ JEZZ BAKER, and his team. From girls allowed to Madonna we have it all, click here to see our female tribute services. If you have any questions or wish to know any more dont hesitate to contact us. Whatever you require for your wedding day, let us assist with Highly Reputable Companies that will make your dream day a reality. We cover everything from Balloon Specialists to Quality cake suppliers. The Final 6 from each Catagory were invited to attend.